The Unlimited Child (TUC) was established in 2008 in response to the number of significant challenges seen in early childhood development (ECD) centres throughout South Africa. There were the absence of quality learning and stimulation programmes; a high degree of rote teaching in classrooms; a lack of quality educational resources; as well as practitioners who were unable to meet entry-level requirements for qualifications, which left them unskilled and unsupported. TUC saw the need for more structured stimulation programmes for young children and so the organisation was born. It aims to ensure that young children between 0-5 years of age have access to quality, sustainable early childhood education and care so that they can develop to their full educational and personal potential. The organisation has since grown exponentially and now provides a high quality, sustainable and holistic early childhood development programme to 135 615 children in disadvantaged communities throughout the country. It has trained more than 5 000 practitioners, benefits 1 862 ECD centres, and has cumulatively benefitted 277 000 children since its inception in 2008. A field monitor demonstrating the use of the practitioners guide and providing support on lesson planning. The TUC model provides an integrated, rapid impact ECE stimulation programme that capacitates practitioners in disadvantaged communities to provide a high-quality programme to young children. “The programme is aligned with national and current policy and standards (NELDS/CAPS/NCF) for early childhood education and development, and is available in English, isiZulu, isiXhosa, Sepedi and Afrikaans,” says TUC’s Chief Executive Officer Candice Potgieter. The ECE package of services provided by TUC is rooted in structured play. The focus is on the social, emotional, physical, intellectual, aesthetic and moral development of each child through a series of activities that seek to enhance mathematics, language and life skills development in young children, and also promote the development of their fine and gross motor skills. A monitoring and evaluation visit. These visits provide practitioners one on one contact time with the monitors to reinforce understanding, address any challenges and grow practitioner confidence towards successful implementation. They are not registered as an NPO (those in the process of obtaining their NPO status are however accepted). This is important as there needs to be a level of community accountability and some governance in place that supports programme sustainability, explains Potgieter. They have a stimulation programme in place and are being supported by another training provider. “Our intention is not to duplicate or replace any programme that is currently working. They place children at risk in terms of health and safety compliance. These centres are reported to DSD for further support and remain on TUC’s database to be trained in future should their circumstances change. Additionally there is also an onboarding process where TUC profiles centres and assesses them through an on-site visit. Various aspects of the centres are assessed – an environmental and sustainability assessment, early learning programme and environment assessment, as well as a skills audit forms part of the process. The selected practitioners receive training on how to implement a play-based structured learning programme. This includes age-specific training for babies, toddlers, pre-grade R and grade R practitioners and centre supervisors. The programme is facilitated by a team of trained ECD specialists from TUC. 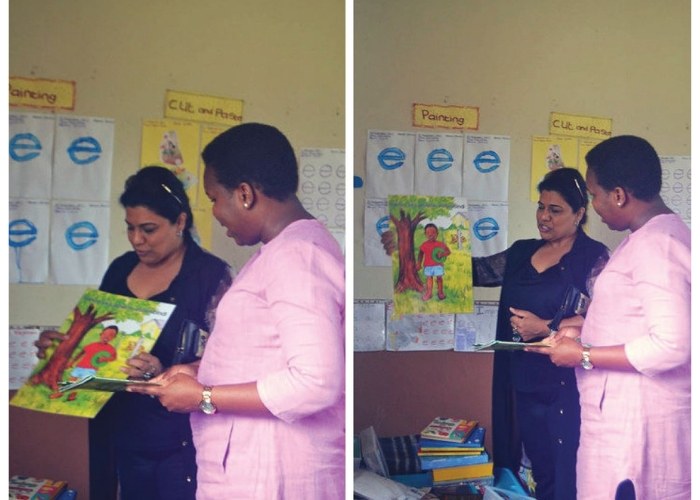 After the successful completion of the training, a curriculum aligned educational resource kit comprising of learning materials, educational toys and resources are provided to the ECD centres. The centres are then grouped into geographic clusters and are supported by community facilitators that provide monthly on-site visits, cluster workshops and continuous monitoring and evaluation. 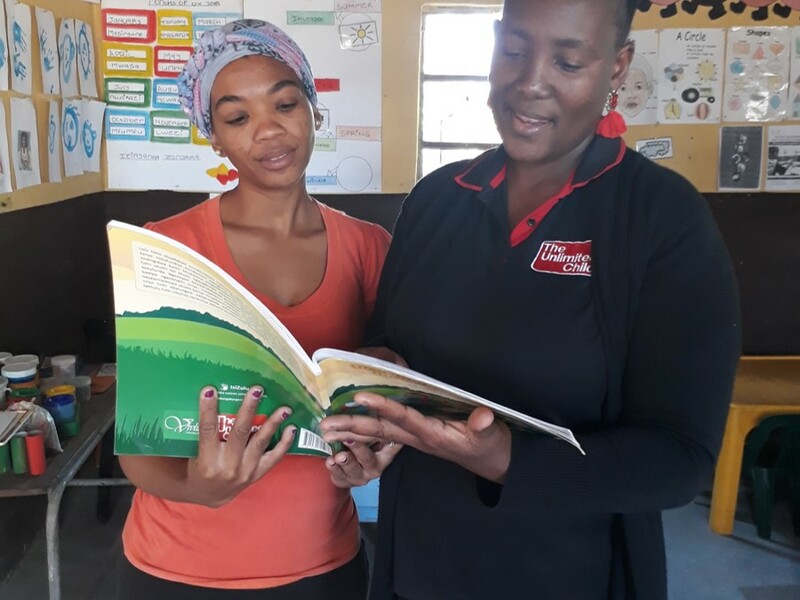 “Our model is supported by a rapid impact and scale up strategy that efficiently and effectively provides practitioners with the necessary knowledge, skills, resources and support curriculum to be able to implement a quality learning programme,” explains Potgieter. 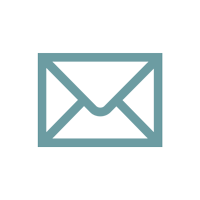 They offer strong post training support to practitioners and do on-site mentoring and coaching to enable them to effectively implement the programme within their specific context. TUC’s programmes are implemented five days a week over a full school calendar year in order to ensure a higher dose of stimulation input to ensure positive cognitive and language outcomes. The dosage of stimulation has also been standardised to ensure consistent results are achieved, she explains. In the last ten years The Unlimited Child has managed to successfully establish partnerships with like-minded ECD organisations and create a synergy that ensures holistic ECD services to children. These relationships enable access to services on nutritional support, capacity building, centre management and governance, health and welfare. This has also facilitated the partial care registration processes. “We have developed and successfully maintained a partnership model that supports programme growth and upscale,” says Potgieter. An external evaluation that was undertaken in 2015 provided empirical evidence on the efficacy and successful impact of TUC’s programmes on children who demonstrated improved numeracy and literacy skills. 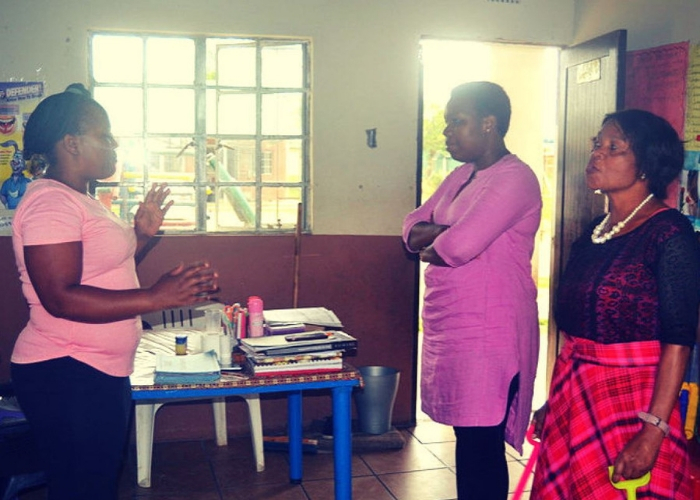 The organisation can also boast about its programmes and resources, which are available in multiple South African vernacular languages and address the issue of difficulty of accessing quality ECD publications in local languages. TUC’s programme is endorsed by the DSD and DBE.